I am forever full of guilt for not writing and speaking of GUFF and fan funds more (natural state for me – nothing is ever enough, as proven by my girth!). From time to time, though, my heart gets huge and I get giddy because I see that I did make a difference. In this case, it was to inspire a non-anglophone, young and female SF fan to run for a anglophone dominated fan fund. Austrian fan and genre writer Nina Horvath is one of TWO non-anglophone candidates for this years’ TAFF race! I could not be more pleased! And what better way to start the new year than with the opening of a fan funds race? So, if my endorsement is enough to make you give up $3 (USD) or £2 (GBP) or €3 (Euro) , you can do it right now, here. The Transatlantic Fan Fund has been ferrying people between the US and Europe for more than half a century: it is fandom’s longest-running travel fund. Also, Nina was one of the very generous European SF authors who had given me a signed copy of her story translated into English to take to Australia during my GUFF trip. 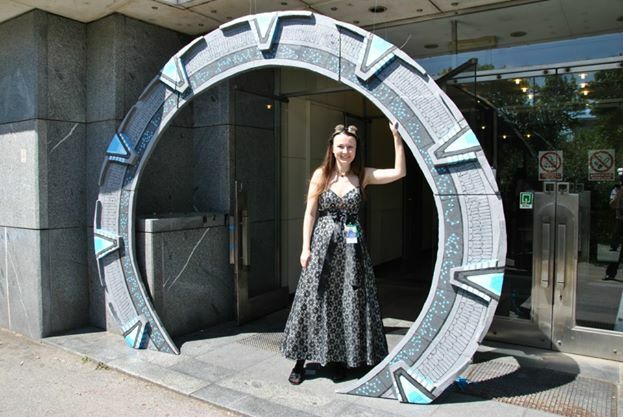 She will make an excellent TAFF delegate and an awesome representative of European fandom at Sasquan, this years’ Worldcon that is to be held in Spokane, Washington, USA (19th August to 23rd August, 2015) Please vote for her and help her get there!